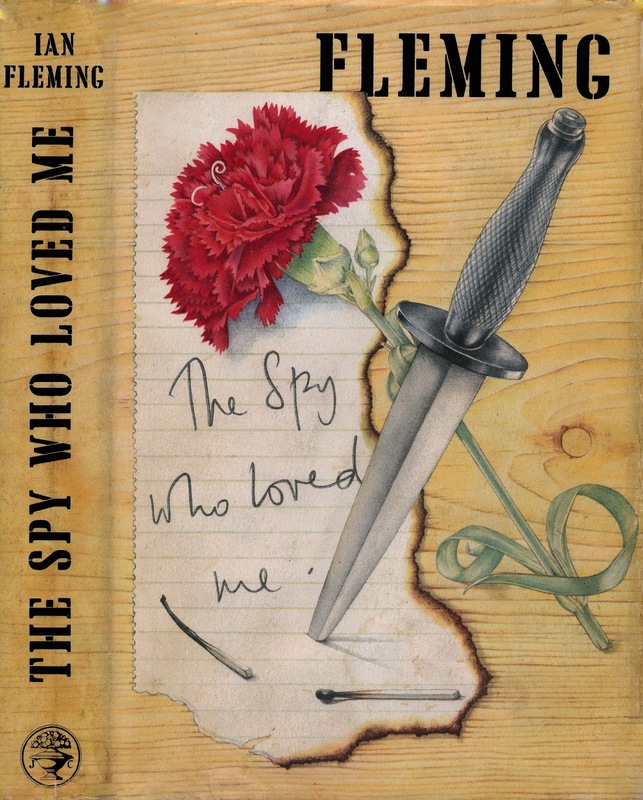 I had four copies of the Jonathan Cape edition of the Ian Fleming novel THE SPY WHO LOVED ME but no actual first edition. I also had Jon Gilbert fantastic book Ian Fleming: The Bibliography. A book in which you can read about all the Fleming releases in both Great Britain and America. There I could find an exact documentation of the dust jacket for a true first edition and I was wondering if my fifth impression from 1963 that I bought for £12.50 a long time ago might have a dust jacket that looked exactly as the true first edition dust jacket. 1. The rear panel prints opinions of Thunderball entitled "Verdicts of THE TIMES!, being seven reviews from newspapers whit the word "Times" in their title. CHECK! 2. Front flap text (aligned left) VIVIENNE MICHEL writes:...nineteen lines. After that it should say Jacket design by Richard Chooping, Dagger by Wilkinson Swords Ltd, (c) Ian Fleming 1962. It should also be priced at lower corner. CHECK! 3. The rear flap is entirely blank. CHECK! 4. All four corners are clipped by Jonathan Cape. CHECK! Everything looked great so I decided to buy a Cape first edition of THE SPY WHO LOVED ME and I got it out of Ebay for £52. A few days later I received it. But then it hit me what I have read in The life of Ian Fleming by John Pearson. Fleming often complained that he did so little profit on his books. He always felt they were to cheap for the reader so the price often increased during this time. Sadly I could not be more correct. After some investigation on the matter I found that a true first edition of THE SPY WHO LOVED ME cost 15s and a fifth edition one year later cost 16s. And I have a dust jacket that reads 16s. So I guess the hunt goes on for an affordable true first edition of THE SPY WHO LOVED ME. So close but no cigar. 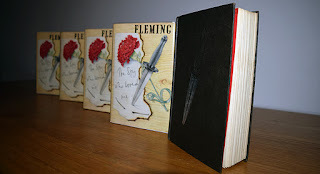 If you are also hunting for a First edition print of THE SPY WHO LOVED ME dont be cheated by a seller that says that their book is price clipped. Make sure that it says 15s. It would be so easy for me to price clip my book and make it look like a first edition. PS. Today I have updated my sales page with an 1968 Airfix construction kit. It is being offered here!